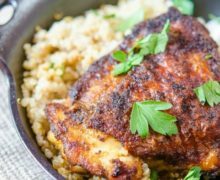 These super easy Spiced Chicken Thighs show off the power of spices, and how you can make a truly delicious meal with a handful of ingredients from the pantry! How often do you go into your spice cabinet? The other day I realized I had completely forgotten about the greatness of spices. I haven’t done a rub in ages! While there’s definitely something to be said about fresh ingredients, having so much flavor sitting in your cabinet all year long, right at your fingertips, can be very handy. Especially if you know how to pair those spices together. 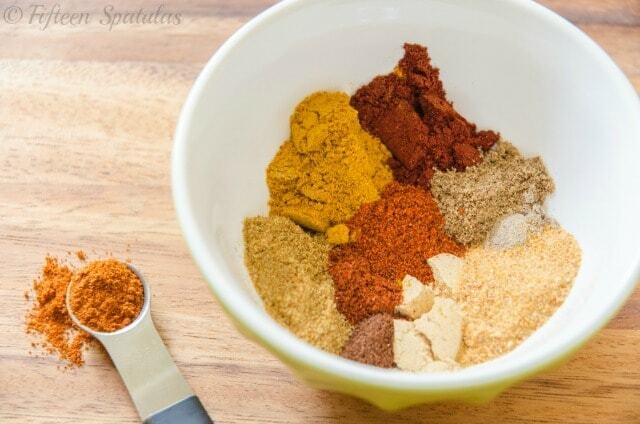 The collection of spices I’m sharing with you today is my favorite rub to put on chicken. It has some Indian and Chinese influences in there, with very warm spices, like ginger, cardamom, cumin, and so on. I keep a jar of it in my pantry all the time so if I’m feeling tired on a weekday, I know that I can rub it on some chicken and make a simple meal. My recommended cut for this rub is chicken thighs, and you’re going to cook them in a way that gets the skin all crispy. 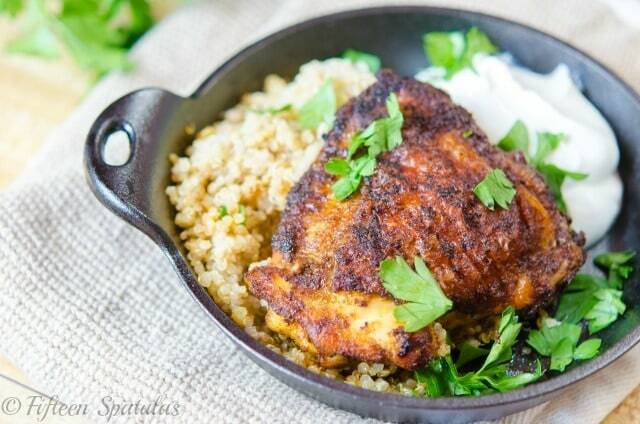 My husband put it perfectly when he said this dish tastes sort of like Indian Fried Chicken. This dish goes great with a little quinoa and a dollop of thick yogurt on the side, but similar grains like couscous or farro would work well too. In the comments below, what is your favorite spice? Mine would have to be…cinnamon! Cumin is a close second. Stir to combine the ginger, chipotle pepper, curry powder, paprika, garlic powder, coriander, cardamom, cloves, cayenne, cumin, and salt. 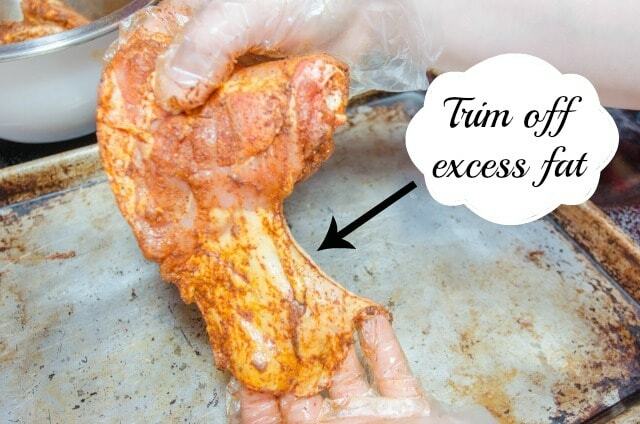 Trim the excess fat from the chicken thighs (any part that overhangs the main piece). Rub the chicken thighs all over with the spice rub. Heat an ovenproof skillet over medium heat and add enough olive oil to coat the bottom of the pan (about 2 tbsp). Cook the chicken thighs skin side down (in a single layer) for 10 minutes, until the skin gets crispy (and if the skin isn’t golden brown and crispy after 10 minutes, cook it for a few minutes longer). 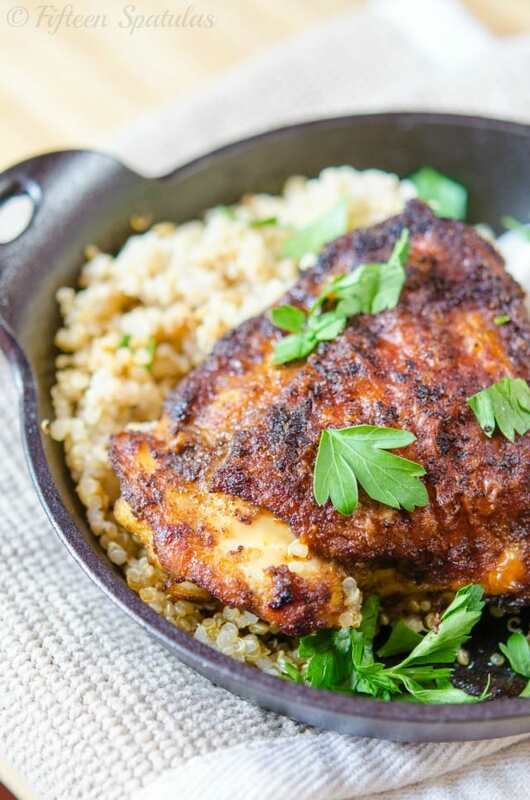 Flip the chicken and cook for another 5 minutes, then transfer the skillet to the oven to cook for additional 10-15 minutes, until the chicken is cooked through and has reached an internal temperature of 180 degrees F. Serve and enjoy! I made this tonight – and it’s REALLY REALLY good! It was SUPER easy. Hubby loved it too. I made it exactly as written except the cardamom – i didn’t have that. Thank you for this wonderful recipe. It’s going in my “Whole 30” recipes! It’s a keeper! Hi Cindy, so happy to hear this! I made this tonight and it was very good. I used skinless thighs and served it with farro, raita and today’s pocketless pitas. It is an easy weeknight meal. I used boneless, skinless thighs cooked in coconut oil. I didn’t have cumin but the lack of that particular spice did not at all detract from the outcome. It was delicious and I will definitely make this again!